Sport beats in heart of fans, isn’t that true? It’s not just the player who takes maximum wickets or scores maximum goals or a team that excels throughout the series, but the stadium that echoes with loads of cheers of fans like us that gives sports it’s true meaning. For any game, series or a tournament – the most crucial factor is the fan base. It doesn’t matter which team ends up winning, it doesn’t feel like victory until you do not have fans to celebrate it. One cannot buy fans. Yes! Cheap pricing and other such tactics cannot buy their loyalty. Fans do not get singularly attracted by conventional parameters such as low pricing, product quality, offers and discounts etc. This is because they have an inherent, underlying and unshakable affinity and loyalty for a particular team, a player or a sport. Sometimes, this liking runs in a family, or if you are from a particular locality then it’s a part of who you are. Thus, it is undoubtedly an enviable position to be involved in fan engagement. Since a decade now, engagement of fans has become on the top priorities of the organizers. Where there is no fan, there is no profit! Organizers do understand this clearly which is why number of campaigns turn up encouraging people to go for the game. 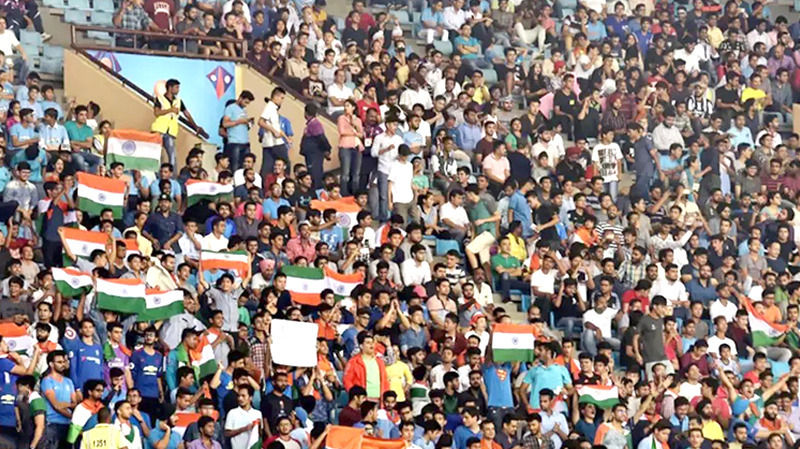 Without a doubt the Indian sporting scenario is also adapting fan engagement technology to optimally tap into the passion of the Indian audience. Coming up with the team that resonates with fans as become ardently important. There are brands who are stepping up in sponsoring the teams giving the whole business dynamic to the sports industry. Not just that, there are campaigns running throughout the channels in order to evoke the interest in sports and create a reliable fan base whether it is ProKabaddi or IPL. We are simply in the awe of #FanBannaPadega campaign by HISL that has mega stars & personalities reaching out to us the commoners to empower our Indian Football Team enough so that they get represent our country at the World Cup. This has been a strong strong wave & is attracting youth across.While the sleeping giant, Football is awakening, campaigns like these shall only add more fuel.It is only going to get more interesting after this as we witness more stakeholders getting active. Fans are sure to witness changes that’ll blow their minds away & make their love for the sport stronger.